ADGHAL offers professional repair and calibration from factory authorized technicians at our facility. Our teams will inspect, calibrate, and advise what repairs are needed at the time. We offer quick turnaround times and professional support. 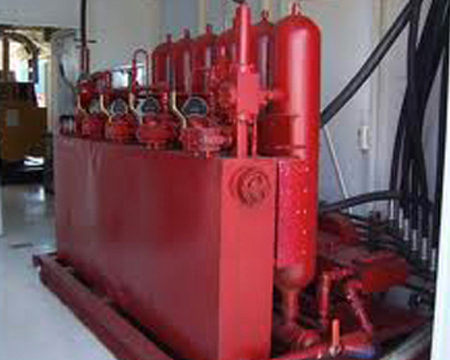 Our technicians are also able to visit the rig annually to do calibration and any repairs necessary for the rig. This minimizes downtime and ensures the client the systems are calibrated and repaired to the OEM, Manufacturer standard. ADGHAL refurbishes and recertifies Billy Pugh X-904 Personnel Transfer Devices. Billy Pugh recommends an approved manufacturer representative inspect the X-904 every two years. Inspection includes thoroughly examining all parts of the transfer device for any damage or defect on all parts of the unit, loosening and tightening the center pole and swabbing the threads with lubricant to prevent seizing; inspecting the X-904 Personnel Transfer unit for modifications or non OEM supplied components and removing them; and replacing all defective or worn parts as required. Following inspection and refurbishment, a new certificate of conformity will be issued. ADGHAL understands that each onsite personnel transfer must be completed in the safest manner possible. And to ensure that occurs, every refurbished X-904 is repaired to the same standards that a new X-904 is held to. Contact ADGHAL if you have any questions about your X-904 Personnel Transfer Devices. ADGHAL fabricates and refurbish containers to offices, workshops, stores, H2S Safety, Accommodation and for special application. All the units are custom-built to our customer's specifications. ADGHAL designs each unit around the customer's specific requirements and will always engage in full consultation with our customer's during design stage. 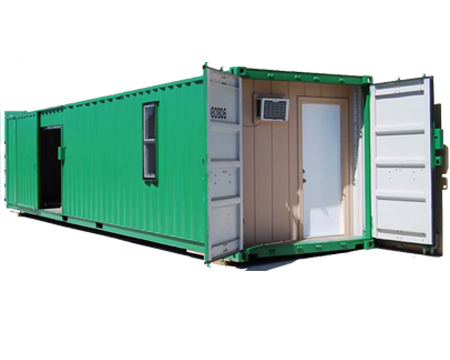 Our units are ideal for remote locations, self-sufficient and have a short commissioning time. The containers are typically supplied in 20ft and 40ft length. ADGHAL designs and fabricates Personnel Baskets for personnel transfer and transport applications. This series of personnel lifting devices includes suspended personnel platforms, fixed personnel platforms, and work platforms. 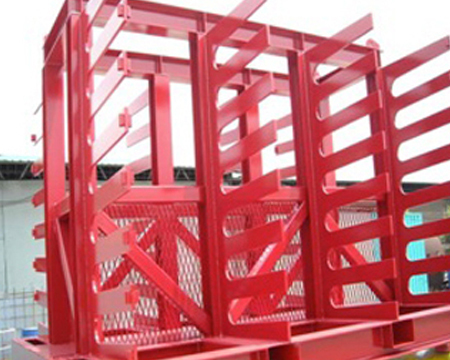 All personnel lifting baskets or man baskets are rated by capacity, number of persons, and by physical size. 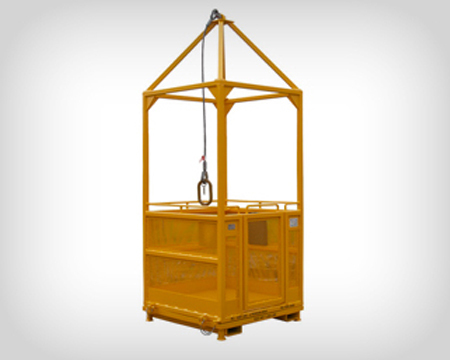 personnel Baskets are fabricated from square tubing, expanded metal, and non-slip flooring. Inward opening and auto-locking gates, toe plates, stainless steel data plate, and railing height requirements are standard. There are many optional features available to choose from including: single point lifting lug, solid and expanded metal roofs, and custom paint or galvanized finishes. 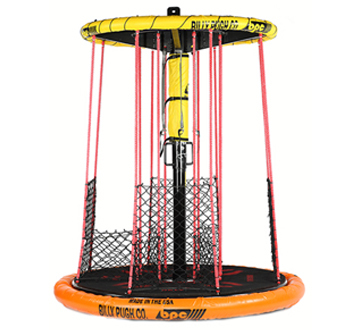 All baskets are DNV certified. ADGHAL can perform a complete inspection/ repair/ rebuild of your existing unit or we can build you a new unit per your provided specifications. Every aspect of the manufacturing process from material purchase to final rigorous testing is overseen by our QA / QC Inspectors to ensure that high quality and reliable performance are guaranteed. A QA / QC documentation package shall be furnished to the client on completion of refurbishment of the unit. 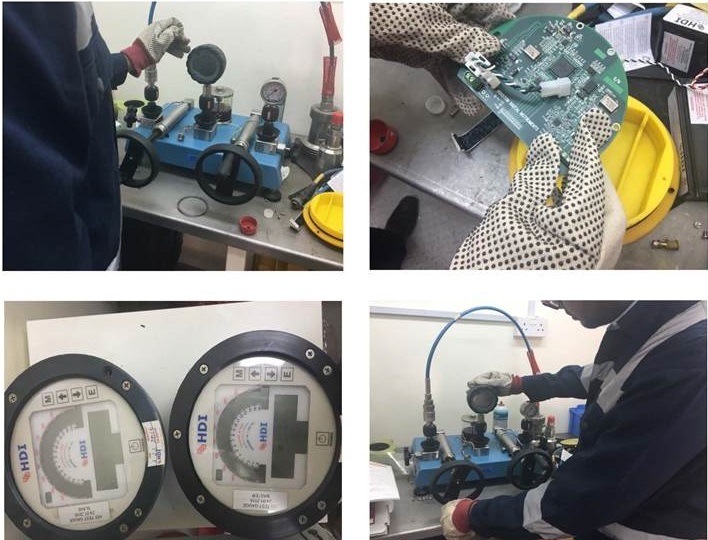 The documentation package shall comprise of Inspection reports, MPI reports, mill certificates where required, welders and Inspectors qualification certificates (where required) and complete digital photographic record of disassembly and assembly.